It’s often overlooked yet represents an important component of many homes. Whether used for parking, storage, or additional living space, your garage likely adds value and convenience to your life. Tom D’Amico of The Great Garage Company addresses the crowd during the final workshop of 2016. Nearly 40 area homeowners ventured to Cleveland Lumber Company on Saturday morning, Nov. 5, for LakewoodAlive’s 15th and final home education workshop series of 2016. 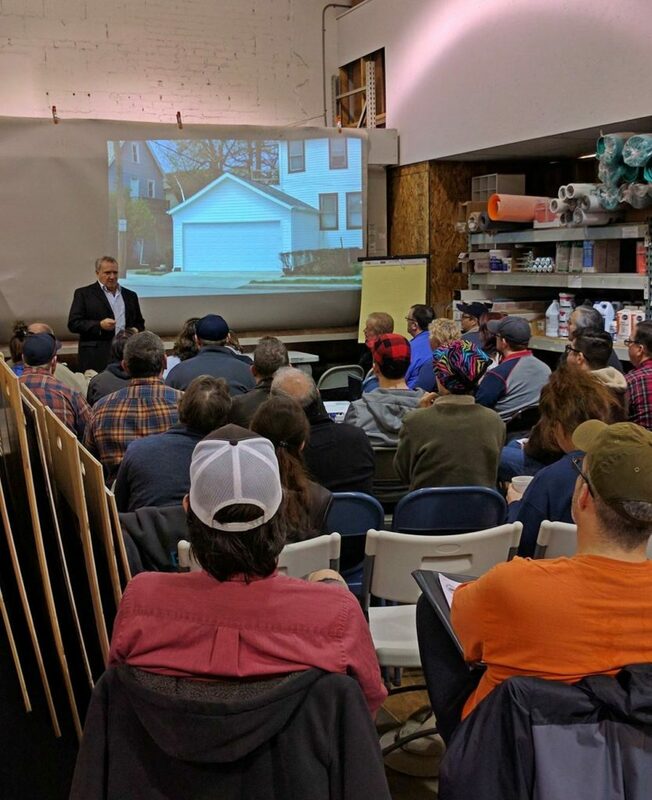 “Knowing Your Home: Garage Repair and Replacement” sought to provide attendees insight into determining the best course of action for refurbishing or replacing an aging garage. Tom D’Amico of The Great Garage Company led a discussion that ranged from general garage repairs to handling leaning garages to best practices for pursuing a garage replacement. Tom also fielded many questions from members of the audience.